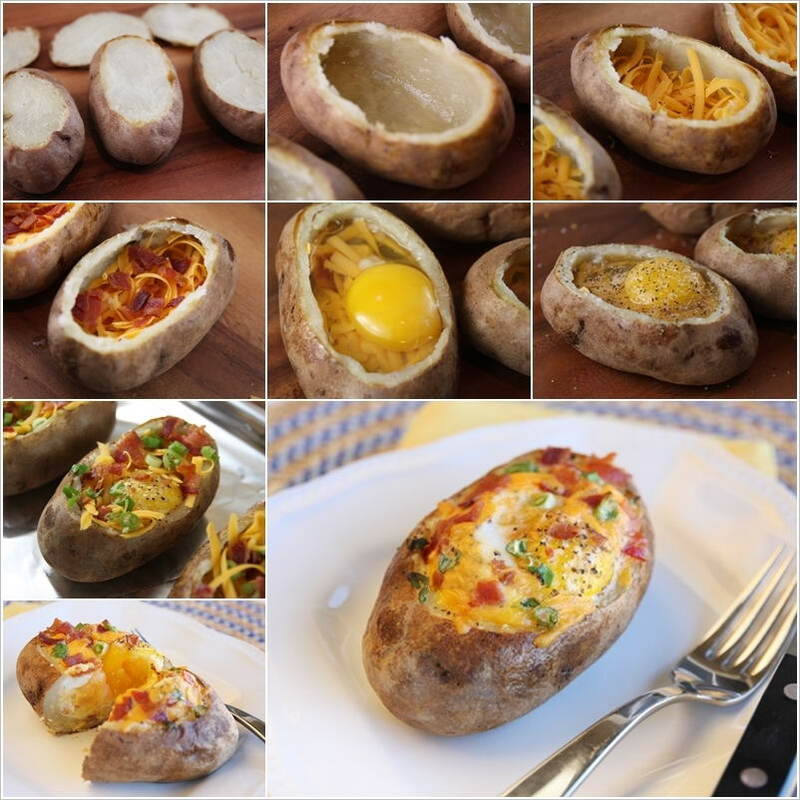 To make these delicious and tempting baked egg potato bowls first you have to bake potatoes. Cut their top part when cooled down and scoop out the flesh to create bowls. Brush some melted butter inside the bowls and add grated cheese. Top with any smoked meat and then add an egg in each bowl. Sprinkle salt and pepper, add a bit of cheese and green onions. Bake in the oven until the eggs are cooked and cheese is melted. 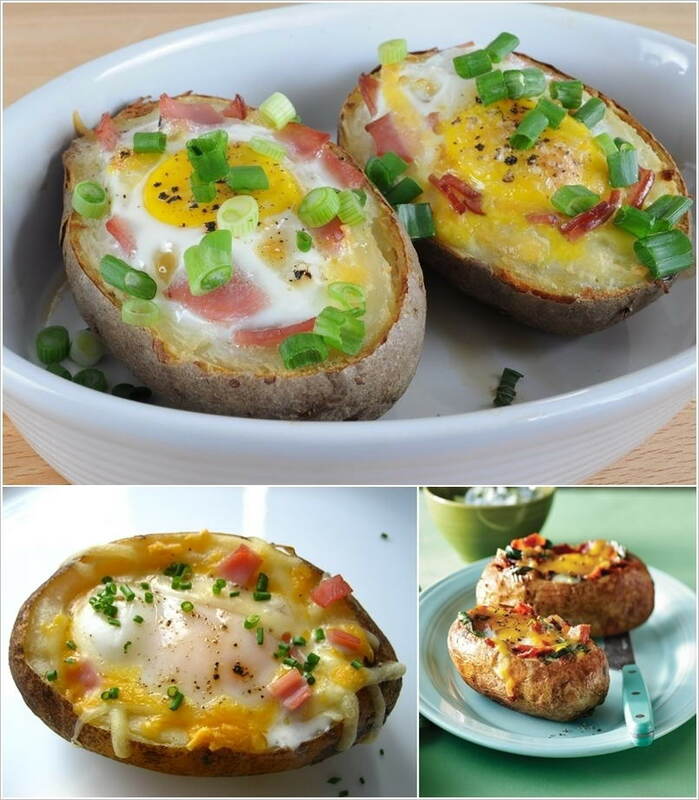 These baked egg potato bowls will make a yummy breakfast. To view the detailed recipe head over to Our Best Bites.